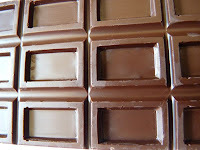 Today was Day #4 of Chocolate and Spicy Pepper Theme Week. 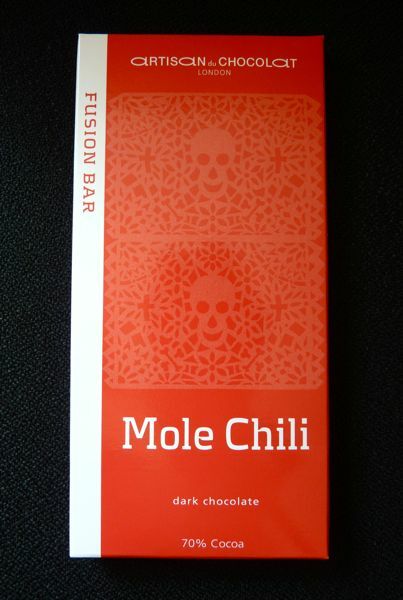 This Mole Chili dark chocolate (70% Cocoa) bar from Artisan du Chocolat (London) contained a mix of ingredients found in mole sauce: chile mulato, chile ancho, chile pasilla, chile chipotle, ground almonds, tortilla, thyme, and other spices. Despite all the different peppers, this bar was not too spicy. 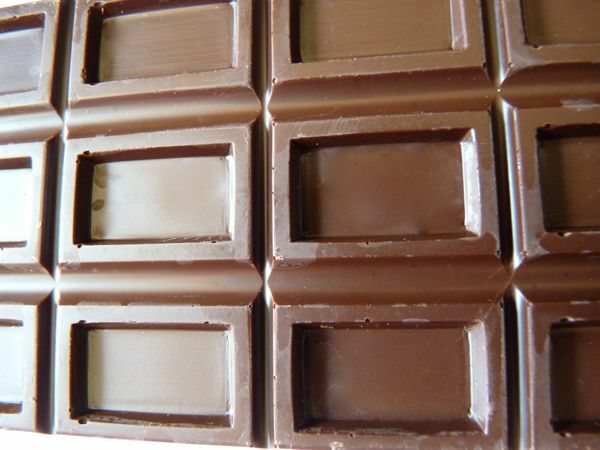 I suspect if you melted this bar in with some red or enchilada sauce and baked it with poultry, you'd have an interesting chicken/turkey dish with mole sauce -- a delicious way to incorporate chocolate into sweet and savory dishes.